This is a really pretty cuff by the Dutch company DeLuxe. 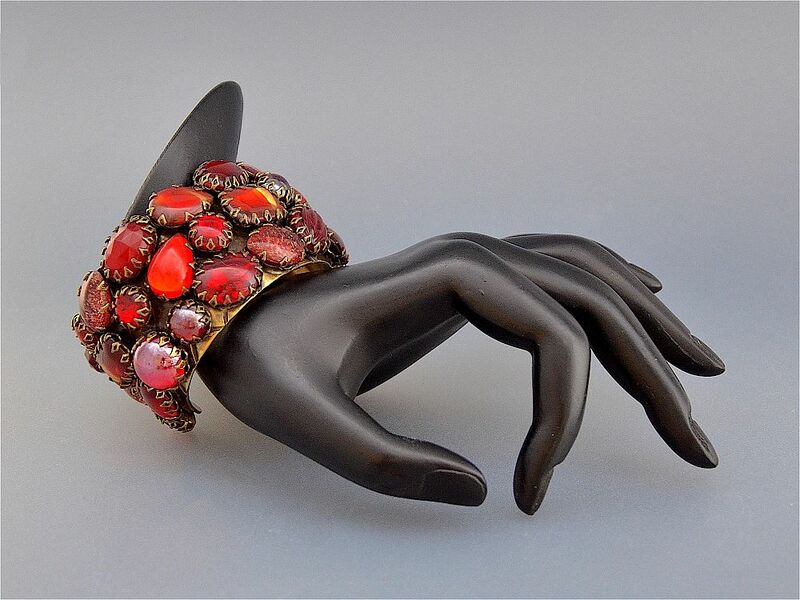 The front of the bronze tone cuff has raised settings of various shapes set with paste cabochon stones of varying shades and tones of red. Some of the stones are bi-coloured and some have gold flecks and striations. The reverse has an oval cartouche script signed "DeLuxe".